You may be puzzled to see a post dedicated to museums in Trentino-Alto Adige. After all, this is the Italian region most associated with mountains (hello, amazing Dolomites) and natural parks, where visitors go to hike in summer and ski in winter. Granted, but, there may be rainy days, or you may need a break from all that physical activity. (Or, you may be dragged to the region by a loved one, but you’re not really into hiking boots or sliding down a mountain.) Well, these museums are pretty great, so worth a visit. The Archeological Museum of South Tyrol in Bolzano is the home of Otzi, or the Iceman, the incredibly well-preserved mummy from the Copper Age, found in 1991 among the glaciers of the Val Senales in northern Italy, very close to the border with Austria. It’s one of the most interesting museums I’ve ever visited. 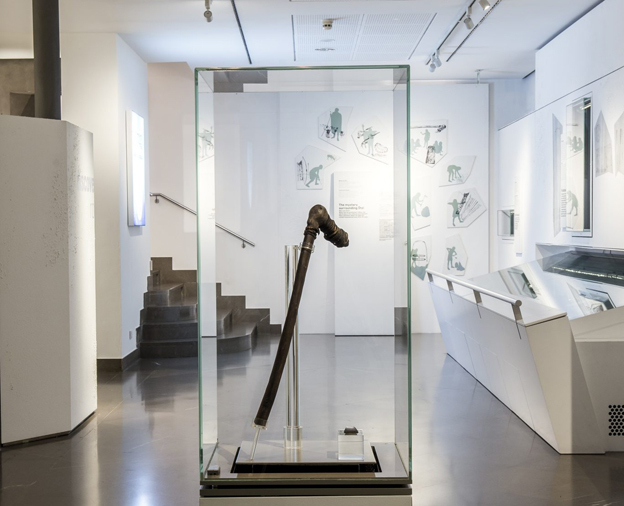 The actual mummy is kept inside a case reproducing similar climatic conditions to those that allowed the corpse to preserve for 5,300 years; two floors of the museum are dedicated to Otzi’s world and story, providing a window into the life of our ancestors from the Copper Age. The third floor is usually devoted to a themed temporary exhibition, related to the subject. It’s quite a thrill to see Otzi; and then to see all the objects that were found with him, including rests of his fur and leather clothes, weapons and tools; to learn about what life was like for him; to read about the different theories regarding his death, still shrouded in mystery. 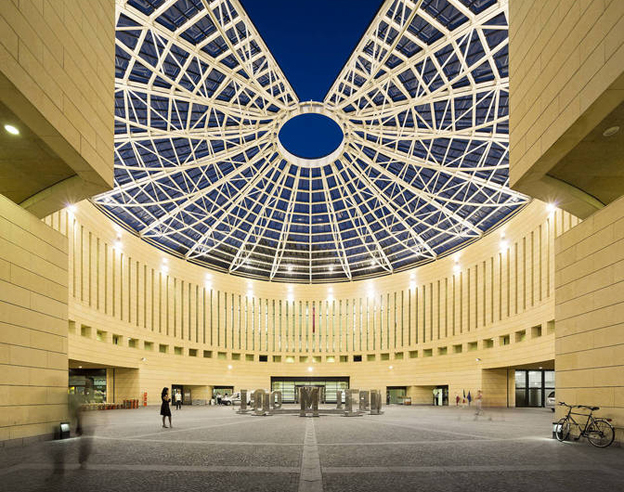 Designed by architect Renzo Piano, MUSE opened in 2013 in a former industrial district in Trento. It’s a striking steel-and-glass building whose shape recalls the jagged profile of Trentino’ mountains, and of the Dolomites especially. 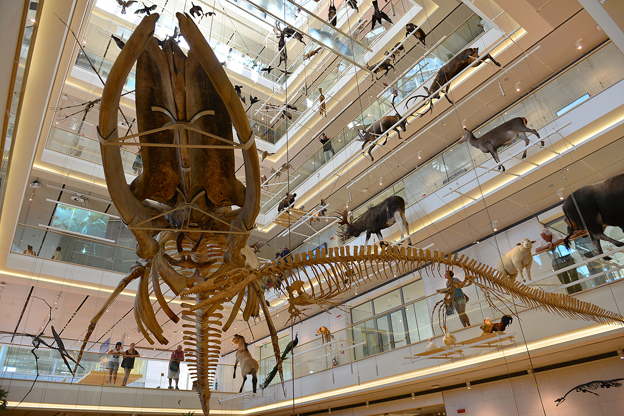 The interior features the so-called ‘Big Void,’ connecting several floors, with taxidermied animals hanging, and the original and complete skeleton of a whale found in 1995 on the coast of Livorno on display (I told you the museums featured in this post were going to be pretty amazing). The museum uses the metaphor of the mountain to illustrate life on Earth. The exhibition path begins at the top, with the terrace and fourth floor dedicated to sun and ice; going down, visitors explore the topics of biodiversity, sustainability, evolution, the future, the senses, and the history of life in a tropical greenhouse. There is so much interesting information that you may easily spend the entire day in the museum. It is also a family-friendly destination, with many activities for children. Another impressive building, designed by another internationally renowned architect, the late Zaha Hadid: MMM Corones is one of the six museums belonging to the Messner Mountain Museum circuit, a project by Reinhold Messner, the first man to have climbed all 14 peaks above 8,000 meters, and the greatest climber alive. 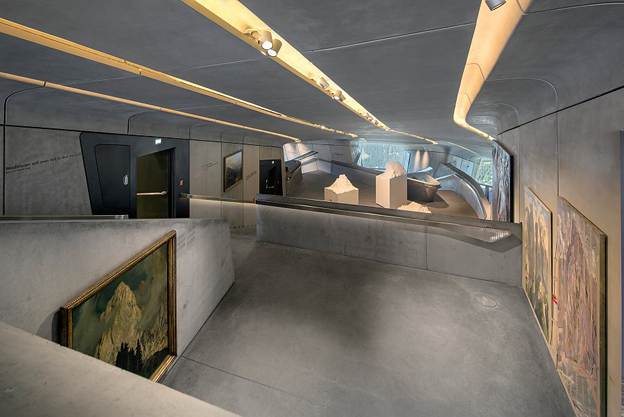 Messner, who has described the MMM project as “my 15th eight-thousander”, says the museums represent an encounter with the mountains, with the people who live in the mountains, and, ultimately, with ourselves. MMM Corones sits at 2,275 meters, on the summit plateau of Kronplatz (a popular skiing area), which is said to have one of the most beautiful views of the Dolomites and the Alps, encompassing the Lienz Dolomites to the east and the Ortler to the west, the Marmolada glacier to the south and the Zillertal Alps to the north. Inside, the museum is a journey into the world of traditional mountaineering, and an exploration of mountain history through relics, thoughts, works of art in the form of pictures and sculptures. There’s also art to check out in Trentino-Alto Adige’s museums, and for that, head to the Museum of Modern and Contemporary Art of Trento and Rovereto (MART), at its main site in Rovereto, an ancient fortress town, at the southern edge of the Italian Alps, not far from Trento. The museum contains an impressive 15,000 artworks, including paintings, drawings, engravings, and sculptures, mostly modern and contemporary, by the likes of Giorgio Morandi, Giorgio de Chirico, Carlo Carrà and Fortunato Depero. This museum too boasts quite an impressive design, with a large plexiglass and steel dome, taking inspiration from classical forms (the Pantheon in particular); it dominates the central square where visitors access the museum. The walls are made of the yellow stone from Vicenza, a favorite of Palladio. MART often hosts temporary exhibitions as well. 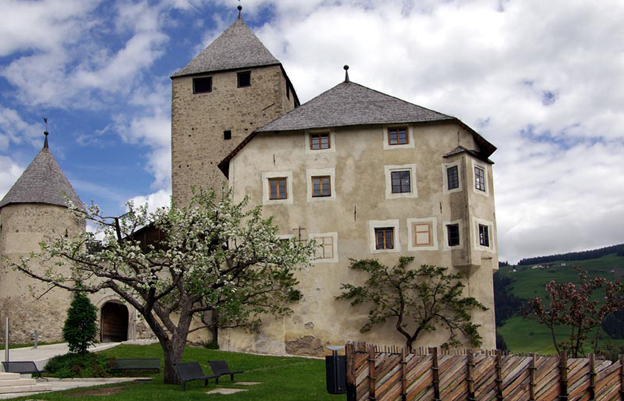 The Ladin Museum Ciastel de Tor, housed inside a medieval castle, once the seat of the local lords, illustrates the history, culture and customs of Trentino-Alto Adige’s five Ladin valleys. Ladin is a romance language that originated from the encounter between the ancient language of the Raeti, the first to inhabit the Alpine regions of present-day Italy, Austria and Germany, and the Latin of the Romans, who conquered the Alps in the first century AD. When the Barbarians invaded, the Ladins retreated to the most remote valleys of the Alps and, for centuries, kept alive their language and traditions, and they still fiercely do today. So anyone visiting Trentino-Alto Adige should get acquainted with this aspect of the region’s history. The museum’s themes revolve around Ladin language and traditions; on display are archeological finds and typical Ladin crafts. Check opening times on the website as they vary according to season.